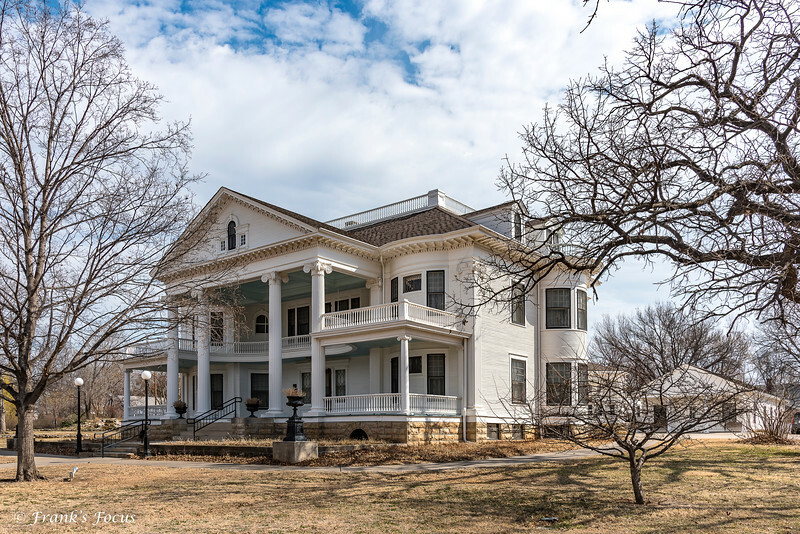 The Georgian style Seelye Mansion in Abilene, Kansas is like a time capsule. Most of the home's furnishings were purchased at the 1904 St Louis World's Fair and are still in place. The furnishings alone cost more than the 55,000-dollars spent building the 11,000 square feet home. It’s currently a “living museum” where the current owner lives & conducts daily tours. The electrical fixtures & appliances and most of the furniture & decorative elements are still original. Other items are only 80 years old, added when Frank Lloyd Wright remodeled the Seelye Mansion's interior in the 1920s. Original Edison light fixtures and old Edison music machines fill the house, and there’s even a lever operated bowling alley (in the basement) which was also purchased at the 1904 World's Fair. The home was featured in the History Channel's Mysteries at the Mansion. The episode Book Thief, Bigamist Duchess, Patent-ly Absurd premiered on February 20, 2015 and one of the three segments is about "the owner of an opulent Kansas mansion who concocts a supposed wonder drug." The mansion was also featured on the HGTV Special "Christmas Castles" in 2000. Outstanding capture of this marvelous old mansion! Must be a fun place to wander through, although I bet the owner/tour guide keeps a pretty close rein on visitors. This is beautiful! Great shot and super info.